Interested in a Masters Ski program for adults? 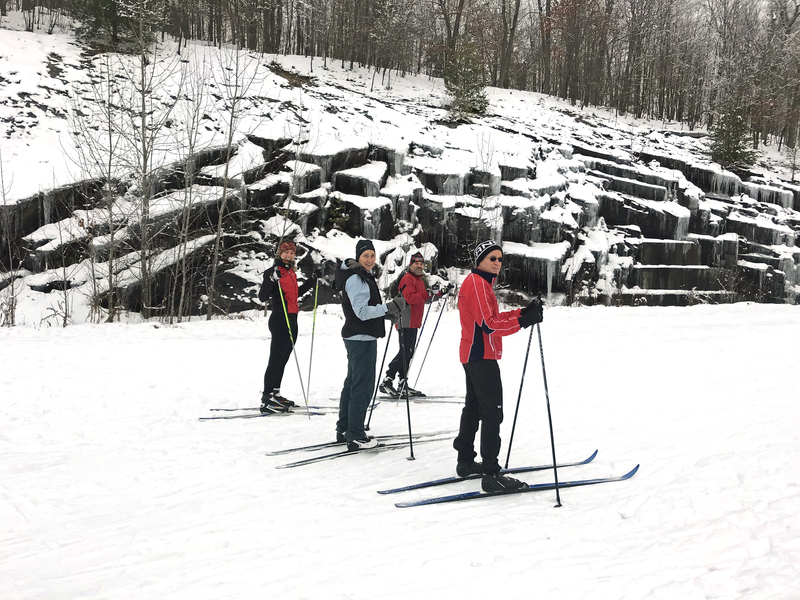 Open to adults who love to ski, the program offers more advanced instruction in both classic and skate ski technique, dryland training and race support at a couple of local loppets. Cost of the Fall Program: $125 for 1 session per week; $215 for 2 sessions per week. Program fees include the $30 club membership fee. *The option of one or two training sessions per week, with the flexibility of choosing the day that works for you if once-a-week training is chosen. * Thursday dryland training at Spruce Glen Public School, 6:30 – 8:00 p.m.
* Saturday morning training in a variety of locations, including Conroy Park, every Saturday morning between 10 a.m. – 12 p.m.
.Program fees include the $30 club membership fee. dryland training on Thursdays at Spruce Glen Public School, 6:30 – 8:00 p.m.
on-snow training at Arrowhead Park every Saturday morning between 10 a.m. -12 p.m.
qualified and committed coaches: Steve Jones and Erin Creasor. Please register at Zone 4 before the first practice on January 6th. 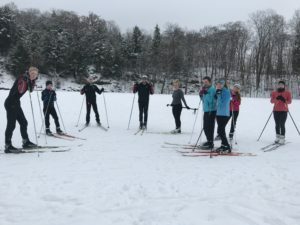 This friendly, non-competitive class is for recreational skiers or aspiring racers who want to improve skills and fitness at their own pace and level. Choose instruction in Classic, Skate, or both. You’ll also meet other skiers and have fun! Great review of technique from basics to more advanced. Choose from Saturday afternoon classes (1 – 3 pm) or Tuesday afternoon classes (1 – 3 pm). Classes run for 4 sessions and all classes are 2 hours long. For the Tuesday lessons, we change the order and do the skate lessons first. You can sign up for the skate lessons, the classic lessons or both. Fee is $100 for each group of 4 sessions. Ski for Total Fitness! (all 8 lessons) is $170. If you want to take both Saturday and Tuesday sessions in January, we can arrange that. These fees include membership in Arrowhead Nordic Ski Club. Club membership is required for insurance purposes and entitles you to enjoy our social events and weekly night skis, as well as receive discounts in some local businesses! If you are already a club member, fees will be reduced at $19.